I purchased this mask on my own from Memebox, and this post will contain an affiliate link. 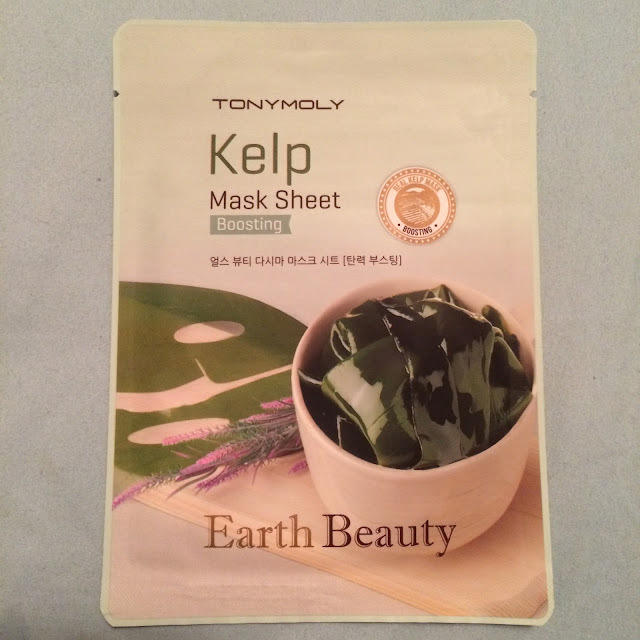 Purpose: [From Memebox] Experience plumper and younger-looking skin with this Kelp mask from Tony Moly. It contains 90.37% eco substances rich in marine nutrients which promote better skin elasticity. This helps the skin produce healthier skin cells and prevent formation of fine lines and wrinkles. Sea Kelp is also known for its numerous health benefits which keeps your skin’s condition healthy. It offers full moisture that lasts for 72 hours! 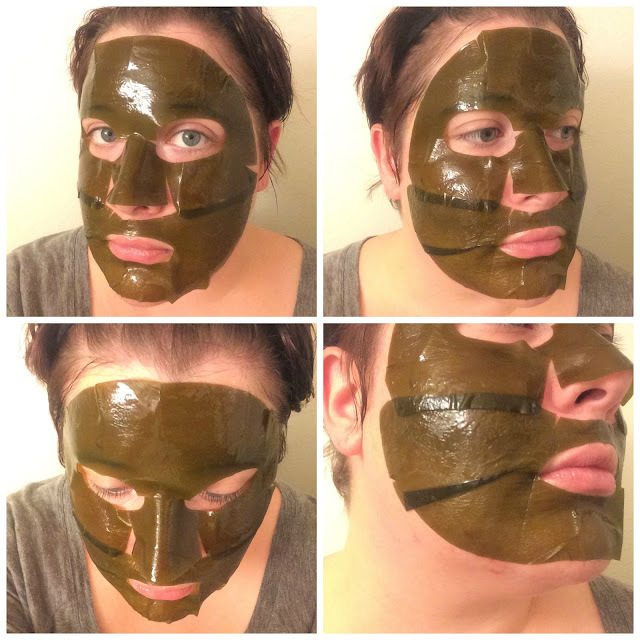 To Use: After cleansing and toning, carefully place the mask sheet onto your face and leave it for 15 to 20 minutes. After the allotted time, dispose the mask sheet properly and massage the remaining essence onto the face for better absorption. Description: The mask has a yellow-green essence that is thin but slightly sticky. It smells slightly fishy, at first smell I immediately thought of scallops. I've heard many people complain of this smell, but myself (being very sensitive to scents) didn't think this was too overpowering and did start to lessen after a few minutes. It didn't disappear, but it was bearable. Performance: When I used this mask I was having a bit of trouble with my skin (sores from over-exfoliation and purging), so when I first applied it the essence burned along my jawline. This lasted about 10 minutes, and I almost peeled it off, but it did go away and it did not cause any other irritation other than on the already irritated areas of my face. 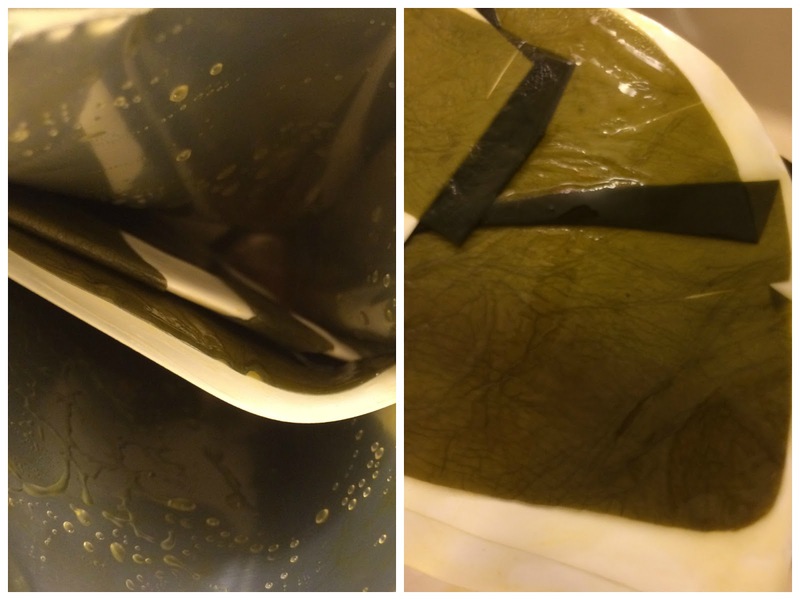 This mask is made of real kelp, and is a bit stiff due to that - but it really is more pliable than I expected. It did fit my face fairly well, and it didn't slide around at all. 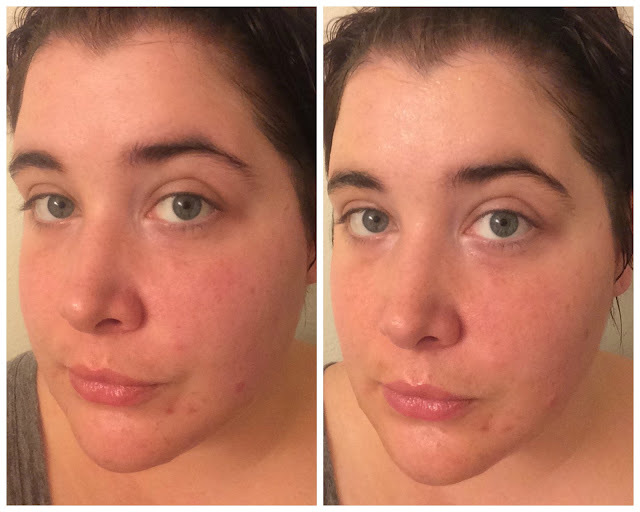 Despite not feeling soothing in any way (which was a first for me) it did make my face appear much brighter and less irritated than before. Even so, this is not a mask i would repurchase because I can get brightening plus added soothing effects from many other masks. 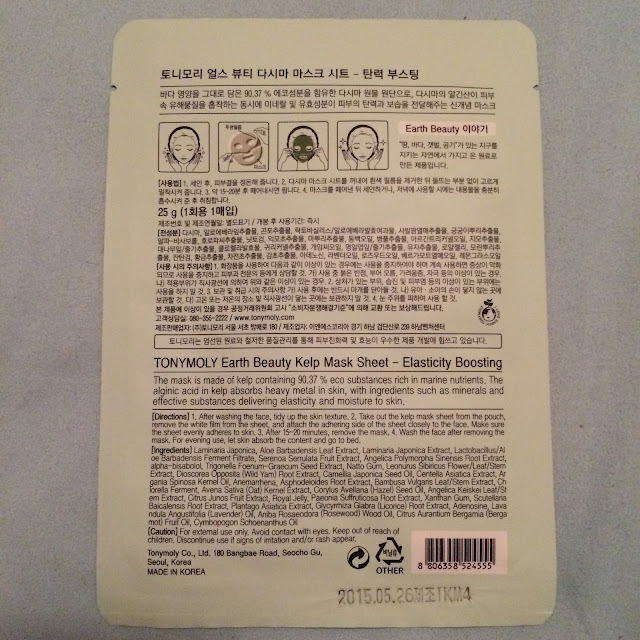 This mask is available in a TonyMoly Earth Beauty Mask Bundle at Memebox USA.